Any chocolate lovers out there? 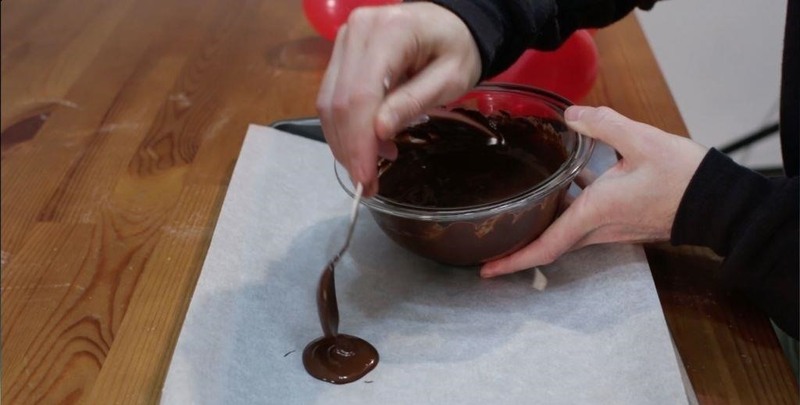 In this article/recipe I will show you how to make chocolate balloon bowls. 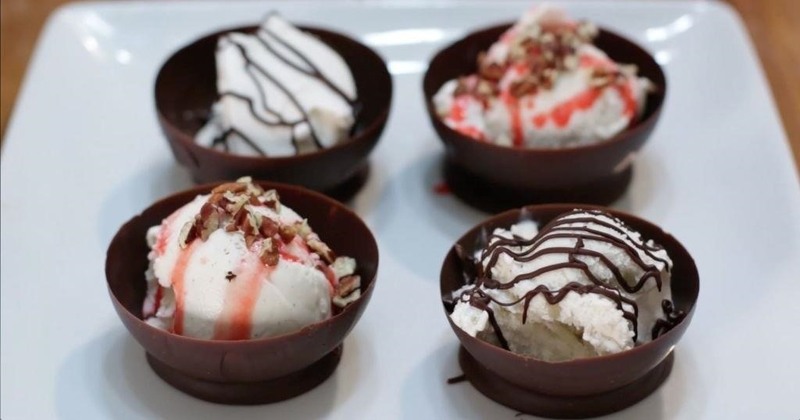 These chocolate bowls are easy to make using simple ingredients. Using balloons to makes these is so fun, it is a great activity to do with the family, kids, grandkids, etc. And you can fill them with whatever you want, ice cream, candy, whipped cream, fruit, etc. 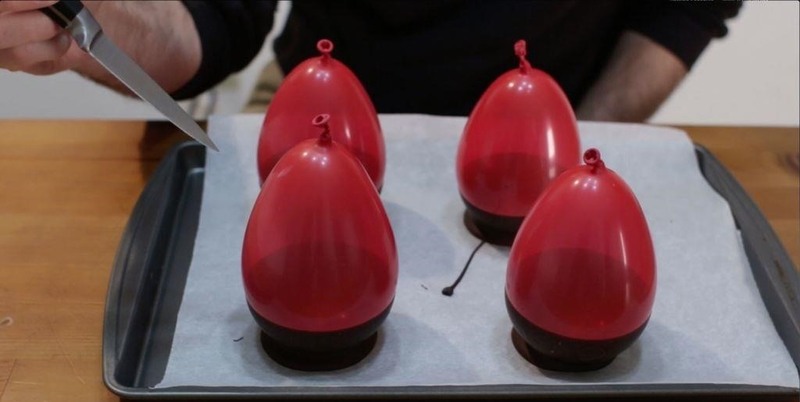 Impress your friends and family with some chocolate bowls made from balloons! Or maybe there is a special someone you want to impress. :) If I can do it, you can do it. Let's get started! First, it is a good idea to wash the outside of the balloons, at the very least rinse them with water then dry them. Next we need to fill up our water balloons with some air. I just use my bike/ball pump to do this. Don't fill them up too much. Set them aside for now. Now it is time to melt our chocolate. I am using semi-sweet chocolate chips, but you can use chocolate bars, milk chocolate, dark chocolate, candy melts, etc. Add about 1 Tbsp. of oil to the chocolate, this will help thin in out a little bit. Next I am going to melt them in the microwave, using bursts of 30 seconds, then stir, then 30 seconds, etc. Depending on how powerful your microwave is, you could use the defrost setting, or set your power to 70%. Now we want to make the little round base for our bowls. Use your spoon and add some chocolate to a parchment paper lined baking sheet. About a Tablespoon worth is enough. Make sure your chocolate isn't very warm, if it is still really warm, let it sit for a minute. Now let's take a balloon and gently push it straight down into the chocolate then bring it straight up. Next place it on one of your round chocolate bases. Now finish the rest of them. Once all of them have been dipped and place, chill them in the refrigerator for at least 30 minutes, which will give the chocolate plenty of time to set up properly. Once the chocolate has set, we come to the really fun part, popping those balloons!! Take a sharp knife or you can use scissors and just cut a hole in the top. Poke the balloon with the knife and it will pop. Next remove the extra bit of balloon that is left in the bowl. Now we have some really cool chocolate bowls left.